Meats and vegetables, nuts and seeds, some fruit, little starch and NO SUGAR!! The Paleo Diet for Athletes was released in October, 2005 from Rodale Press. Written by Loren Cordain, Ph.D., author of The Paleo Diet, and Joe Friel, M.S., author of numerous bestselling books on training for endurance athletes, the book applies the concept of eating as our Stone Age ancestors ate to the extraordinary demands of training for serious endurance sports. Although it is now the 21 st century, athletes still have Old Stone Age (Paleolithic) bodies. There has been no significant change in the human genome in the past 10,000 years. Physiologically speaking, we are still Paleolithic athletes. The basic premise of Dr. Cordain’s research on paleolithic nutrition is that certain foods are optimal for humans and others are nonoptimal. The optimal foods are those that we have been eating for most of our time on Earth—more than 4 million years. Only in the last 10,000 years, a mere blink of the eye relative to our species’ existence, have we been eating nonoptimal foods. Unfortunately, these foods comprise the bulk of what western society eats today and include such foods as grains, dairy and legumes. Given that our bodies have not changed, we are simply not welladapted to these nonoptimal foods and they moderate health and peak performance. On the other hand, we have been eating optimal foods – vegetables, fruits, and lean animal protein – for hundreds of thousands of years and we are fully adapted to them. Science tells us that these foods also best meet our nutritional needs. Eat these and you will thrive. Avoid or strictly limit them and your health and performance will be compromised. Serious athletes, however, when it comes to immediately before, during, and directly after workouts, need to bend the rules of the Paleo Diet a bit since we’re placing demands on the body that were not normal for our Stone Age ancestors. Hour after hour of sustained high energy output and the need for quick recovery are the serious athlete’s unique demands. This requires some latitude to use nonoptimal foods on a limited basis. The exceptions may best be described by explaining the athlete’s 5 stages of daily eating relative to exercise. In brief, we recommend that athletes eat low to moderate glycemic index carbohydrates at least two hours prior to a hard or long workout or race. There may also be some fat and protein in this meal. All foods should be low in fiber. Take in 200 to 300 calories for every hour remaining until exercise begins. If eating two hours prior is not possible, then take in 200 or so calories 10 minutes before the workout or race begins. During long or hard workouts and races you will need to take in high glycemic index carbohydrates mostly in the form of fluids. Sports drinks are fine for this. Find one that you like the taste of and will drink willingly. Realize that events lasting less than about an hour (including warmup) don’t require any carbohydrate. Water will suffice for these. A starting point for deciding how much to take in is 200 to 400 calories per hour modified according to body size, experience and the nature of the exercise (longer events require more calories than short). In the first 30 minutes post workout (but only after long and/or highly intense exercise) and post race use a recovery drink that contains both carbohydrate and protein in a 4-5:1 ratio. You can buy a commercial product for this. Or you can make your own by blending 16 ounces of fruit juice with a banana, 3 to 5 tablespoons of glucose depending on body size, about 3 tablespoons of protein powder, especially from egg or whey sources and two pinches of salt. This 30 minute window is critical for recovery. It should be your highest priority after a hard workout or race. For the next few hours (as long as the preceding challenging exercise lasted) continue to focus your diet on carbohydrates, especially moderate to high glycemic load carbohydrates along with protein at a 4-5:1 carbprotein ratio. Now is the time to eat nonoptimal foods such as pasta, bread, bagels, rice, corn and other foods rich in glucose as they contribute to the necessary carbohydrate recovery process. Perhaps the perfect Stage IV foods are raisins, potatoes, sweet potatoes and yams. Recovery For the remainder of your day, or until your next Stage I, return to eating a Paleo Diet by focusing on optimal foods. For more information on the Paleo Diet go to www.thepaleodiet.com or read The Paleo Diet by Loren Cordain, Ph.D.
How Much Protein, Carbs and Fat Should I Eat? The macronutrient requirement changes with the demands of the training season and so should be periodized along with training. We recommend that athletes maintain a rather consistent protein intake year round. As a percentage of total calories this will typically be in the range of 20-25% for athletes. This is on the low end of what our Stone Age ancestors ate due to the athlete’s increased intake of carbohydrate in Stages I to IV which dilutes protein as a percentage of daily calories. Why is the Paleo Diet Beneficial? Increases intake of branched chain amino acids (BCAA). Benefits muscle development and anabolic function. Also counteracts immunosuppression common in endurance athletes following extensive exercise. Decreases omega-6: omega-3 ratio. Reduces tissue inflammations common to athletes while promoting healing. This may include asthmatic conditions common in athletes. Lowers body acidity. Reduces the catabolic effect of acidosis on bone and muscle while stimulating muscle protein synthesis. This is increasingly important with aging. Is high in trace nutrients. Vitamins and minerals are necessary for optimal health and longterm recovery from exercise. The most nutrient dense foods are vegetables and seafood. On average, vegetables have nearly twice the nutrient density of grains. Training for endurance sports such as running, cycling, triathlon, rowing, swimming, and cross country skiing places great demands on the body, and the athlete is in some stage of recovery almost continuously during periods of heavy training. The keys to optimum recovery are sleep and diet. Even though we recommend that everyone eat a diet similar to what our Stone Age ancestors ate, we realize that nutritional concessions must be made for the athlete who is training at a high volume in the range of 10 to 35 or more hours per week of rigorous exercise. Rapid recovery is the biggest issue facing such an athlete. While it’s not impossible to recover from such training loads on a strict Paleo Diet, it is somewhat more difficult to recover quickly. 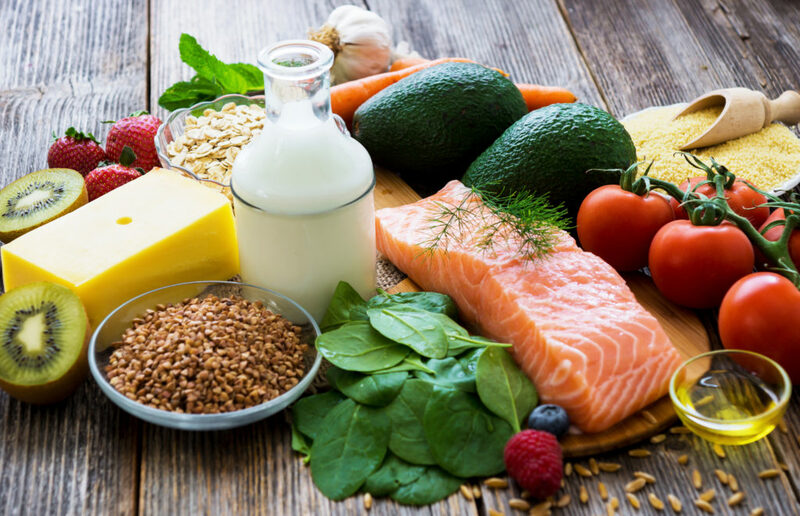 By modifying the diet before, during, and immediately following challenging workouts, the Paleo Diet provides two benefits sought by all athletes: quick recovery for the next workout, and superior health for the rest of your life.